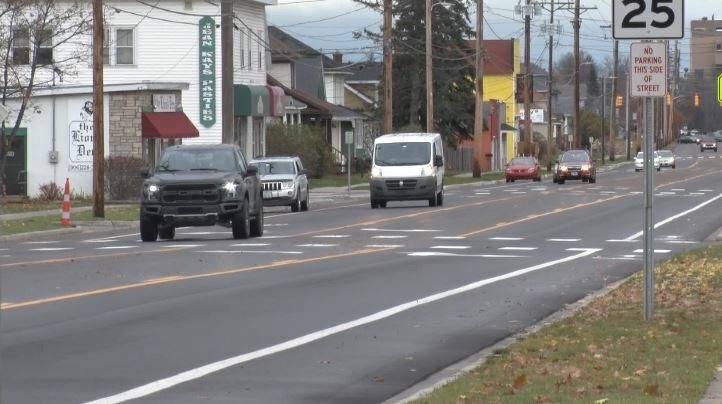 MARQUETTE — The reconstruction and widening project on Presque Isle Avenue in Marquette is nearing completion. According to the city, the businesses along Presque Isle in the midst of the construction will not lose their street parking. Once construction is wrapped up, cars will still be able to park along the west side of the street – private parking lots will also remain unchanged. Some may have noticed that the Southbound lane of traffic is now shared with bicycle riders. The widening of the street itself makes this possible. The Northbound lane will have its own, separate bike lane.